A broken pipe is the advent of a disaster in your house, or even your commercial venue and business outlet. When a pipe breaks, it bursts and water starts leaking. Now these water are pipes are located everywhere in your building, the walls, the structure, the attic, the basement and even the sealing. Therefore, when the pipe will break all these areas that are included in the water pipe web will be exposed to danger caused by water damage. If the pipe is to break upstairs, the upper structure of the wall and drywall will be harmed and if it is to break in the lower portion of the structure, the flooring and all areas connected to the pipe system will be damaged. Therefore, it is not only essentially important to take immediate and prompt measures to fix all broken pipes, but also, it is highly recommended to take all preventive and precautionary measures to regularly inspect pipes for signs of breakages and to avoid any damage to the structure of your building. At AEG Restorations, works in fixing all kinds of sensitive and complex construction projects due to pipe breakages and water damages in New York with reliable and effective measures. 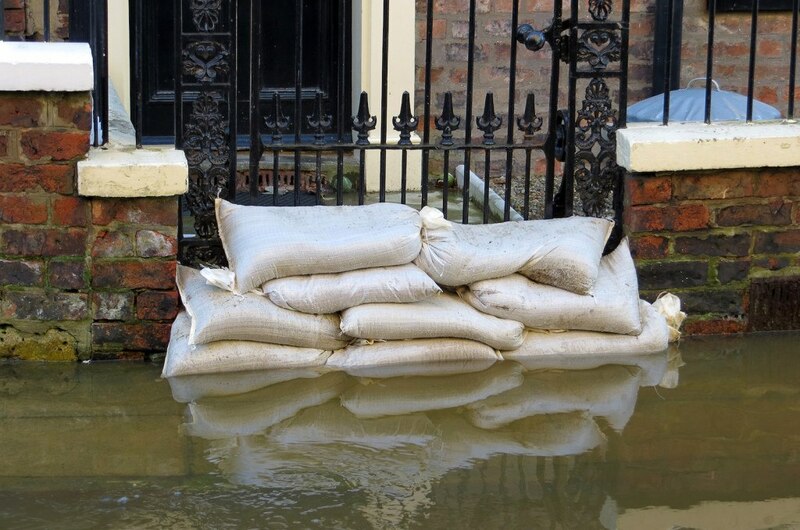 Sandbags stacked in front of house in York flooded street. Our highly qualified, skilled and well-trained professional restoration experts and specialized technicians fully understand the extent of implications and damages caused by the leakage of water due to pipe breakage, and therefore, our repair and prevention measures are designed and customized to ensure that the clean-up and restoration repair process is thorough, effective and reliable. With the help of highly advanced, modern, state of the art technical equipment, our competent experts and technicians root out all visible and hidden damages that may even lead to greater problems such as the growth of bacteria, fungus or molds, because of being invisible to the naked eye. Our licensed and certified technicians are devoted and committed to providing reliable solutions for all your pipe breakage problems and we provide superior quality results that will transcend all your expectations by ensuring the job is done promptly. We provide all our esteemed residential clients highly effective, reliable and prompt restoration solutions for all their sensitive and complicated pipe breakages and water damage problems. We dry all the flooded areas, and clean-up the affected area with diligent care and meticulous effort, along with replacing all the damaged material such as drywall, ceiling tiles, and carpeting to ensure that your house has been restored to its normal state. At AEG Restorations, we assist our clients in the hospitality, corporate, medical, education, and retail industry by providing effective, reliable and instant restoration solutions for all their water damage and pipe breakage issues. Our highly experienced, qualified and extensively trained staff is highly competent in not just fixing your pipes and cleaning up the damage, but also, we take a series of effective and reliable preventive measures to ensure that your pipes and structure are secure from water damage. We also work on pipe breakage in New York City, Queens, NY, Bronx, NY, Nassau, NY, Suffolk, NY Brooklyn, NY, Westchester.